Voters in the City of Santa Cruz, who will be voting for a new City Council this November, are being presented with two different "slates." One of them is the "Brand New Council" slate (Chris Krohn, Steve Schnaar, Drew Glover, and Sandy Brown). That is the more "liberal" or "progressive" of the two slates, and is associated with the ongoing efforts of Bernie Sanders' supporters to bring a Sanders' style of progressive politics to electoral issues at the local level. 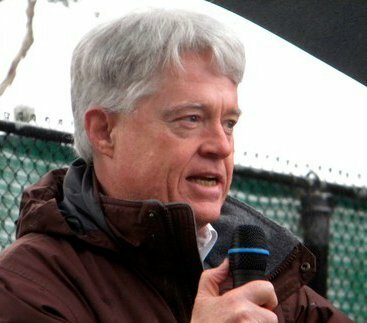 A recent Opinion Editorial by Michael Urban, an emeritus politics professor at UCSC, outlines the case for the Brand New Council. 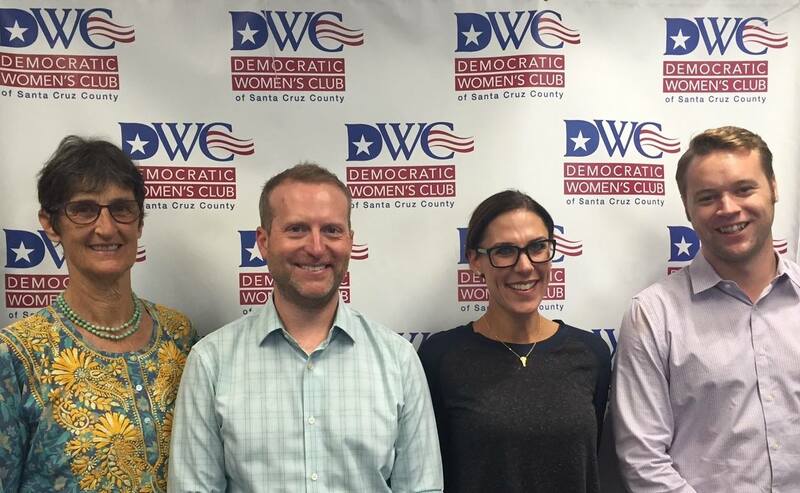 The other slate is supported by the Santa Cruz Sentinel and by The Democratic Women's Club (see the picture below). Just to be clear about the Democrats, The People's Democratic Club, the more liberal of the two local Democratic clubs, is supporting the "Brand New Council" candidates. The "Sentinel/DWC slate" is more or less the "establishment" slate. It is headed up by well-respected and longtime Mayor Cynthia Mathews, and includes a former Sentinel reporter, J.M. Brown. Click the link for the Sentinel's editorial, which makes the case for its four chosen candidates. On last Friday evening, October 14th, I attended an "East Of The River Santa Cruz City Council Forum, to see the candidates in person. The forum was extremely well run, and was sponsored by the Branciforte Business Association and the Branciforte Action Committee. The forum started at dinnertime, 5:00 p.m., and the day was rainy. Frankly, I wasn't expecting much of a turnout, but I was surprised. There was a huge crowd, with I think close to 300 persons in attendance. That told me that voters "East Of The River" are taking the upcoming election very seriously. All the members of the audience were obviously quite engaged with and familiar with the issues, and audience members were both polite and attentive. Unfortunately, Martine Watkins from the Sentinel slate was not in attendance, and neither was Drew Glover, from the Brand New Council slate, whose mother had just passed away a day or two before the forum. A discussion of crime and public safety started off the forum, but the real debate focused on land use and planning issues. The City's current plans are steering the City towards a future that is distinctly different from the City's past and present. 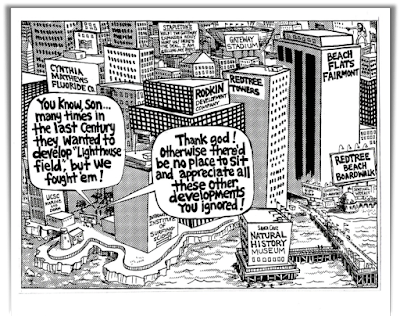 Specifically, the current City Council is moving plans along that will result in huge high-rise buildings on Pacific Avenue (up to 95-feet high), with high-rise development planned for Front Street, too. Current proposals are for a high-rise reconstruction of our historic Wharf, and the City's proposed "Corridors Plan" is aiming for dense, high-rise development on all of the City's major transportation corridors, including Mission Street, Water Street, Ocean Street, and Soquel Avenue. I served on the Santa Cruz County Board of Supervisors from 1975 to 1995, and when I ran for office, which I did five times, the key issues were always about growth and development. It seems to me that we are now at a time when those issues are, again, the most critical ones for the local community. 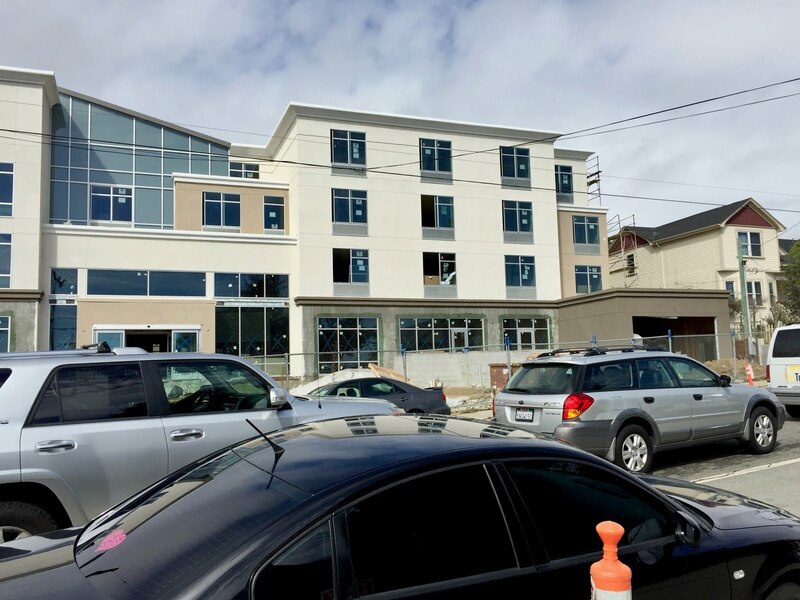 "Affordable housing" issues, of overwhelming importance, are directly related to the kind of growth and development that Santa Cruz is experiencing. The City Council makes the final decision on all significant new development proposals, and the developments currently being approved are NOT designed to serve the working families already living in our community. Thinking that the "market" will solve our affordable housing crisis, and that we can "build our way out" of the current crisis, is a common mistake. Increasing "supplies" will not, in fact, lead to lower prices. New "supplies" of housing, if prices are set by the "market," follow the "Golden Rule" of politics: "those with the gold make the rules, and "those with the gold get the goods." 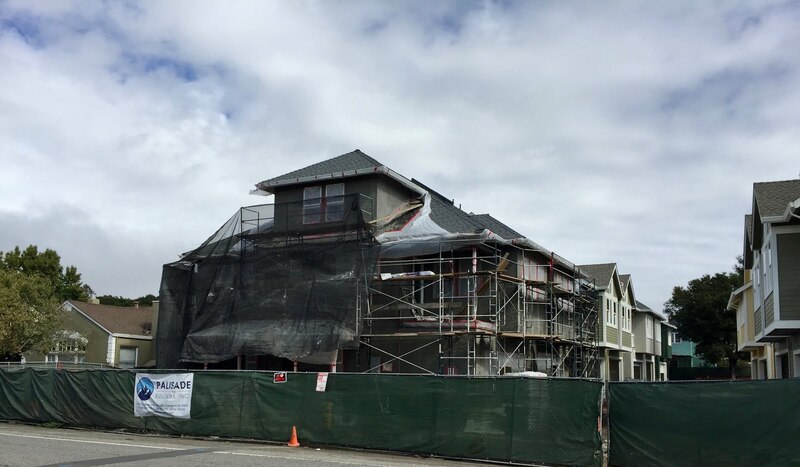 The kind of housing currently being built in Santa Cruz, and the kind of housing currently planned, will definitely not fill the genuine "demand" in our community for housing that can be afforded by an average or below average income person. I never had to run on a "slate," and I'm glad I didn't. Voters either voted for me, or my opponent, and the choices were clear. The current election for the Santa Cruz City Council, though, is different. Each voter can vote for up to "four" candidates, and they can "pick and choose." That "pick and choose" strategy will work for voters if they are generally happy with the direction that the City is taking, since the current Council has seven members, and three of them are going to be continuing. Four members of a seven-person Council is a majority, so even if only one of the "establishment" slate wins, voters should expect that not much will change. If voters want to change the City's direction, it's probably true that a "Brand New Council" is needed. My advice to the voters? Figure out if you are, or are not, basically satisfied with the current planning and development policies of the City. Then, vote accordingly! 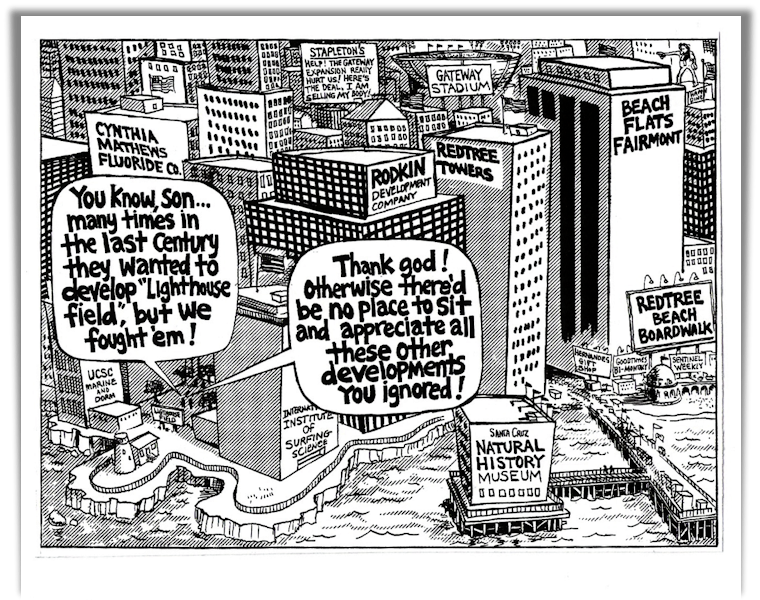 The stakes are at least as high as those 95-foot high buildings that are being proposed for Pacific Avenue downtown. Well outlined, as usual. Yes, Santa Cruz politics have always been about growth and development, and how much do the voters honor the history and existing development before increasing the density. Thanks for the nice comment, Dave! You have definitely posed the question of the hour for Santa Cruz City politics! One should review the booklet that the City of Santa Cruz has recently distributed to the public- you will see renderings of all the many slated developments. Although the City seems quite proud, I am concerned that these buildings are a) not affordable, b) very modern in design (a glass building downtown) and not fitting with the history or charm of Santa Cruz, c) too tall and very unpleasant to look at, and d) will increase traffic, without adequate parking or bus service to these projects. These projects do little to help local people find affordable housing and only increase our transportation issues. Thanks, Anonymous! I agree with you, as you probably either know or guess! !